What is it about text marketing that seems so appealing to the business owner on a budget? 1. There’s nothing like instant communication. We live in the rapid communication era. People expect more. Is it always right? No. But you can’t argue with this fact. With that said, keep your customers in the loop with the quickest form of digital communication. Text messaging is easily the way to go. 2. You can test it out for free. Get this. We actually offer a free forever plan, no credit card required. We’re totally allowing you to have your cake and eat it too. See, here’s the deal. We’ll never force you to sign up for something you don’t understand or can’t afford. We want you to grow at your pace, not ours. 3. Let’s face it. Your customers love to text. Well, ok. We can’t be 100% sure, but think of it this way. When was the last time you didn’t read a text message? Probably the first day of never. On top of that, did you know that 99% of all text messages are opened and read within five minutes of delivery? Picture this from a marketing point of view. Imagine if 99% of your customers engaged with your brand, on a weekly basis? The value of that is indispensable. The best way to earn your subscriber’s trust? Send out messages that offer a substantial amount of value. That’s the entire point of SMS. If you miss the boat on this one, you simply won’t experience success. 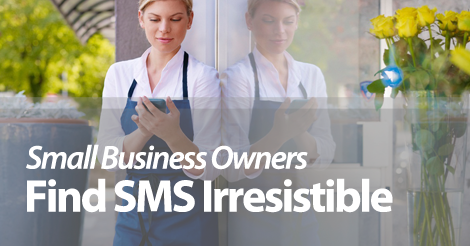 Grow your business with a text marketing provider that cares about your progress. Give us a ring at 1.800.688.6290 to learn more, or head over to the pricing page and sign up for a free plan. Need a little push in the right direction? Visit our Text Marketing Learning Center, and comb through our easy to read beginner’s guidebook. The time you spend educating yourself about SMS will reflect your success. What are your goals? Observe consistent list growth, a low opt out rate, and regular offer redemption.